Vikas is a PhD candidate at the Institute for Resources, Environment & Sustainability, at the University of British Columbia. His work includes energy systems modelling for energy access, and the theoretical domains of transitions and energy justice. He completed his Mechanical Engineering (with a Masters degree in Energy Technology) education in 2009 from Indian Institute of Technology Madras. 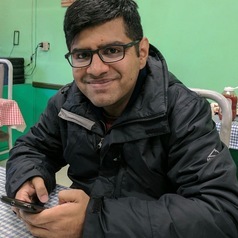 He also worked in the area of climate change consulting for 3 years, covering renewable energy and energy efficiency projects across India and South East Asia.